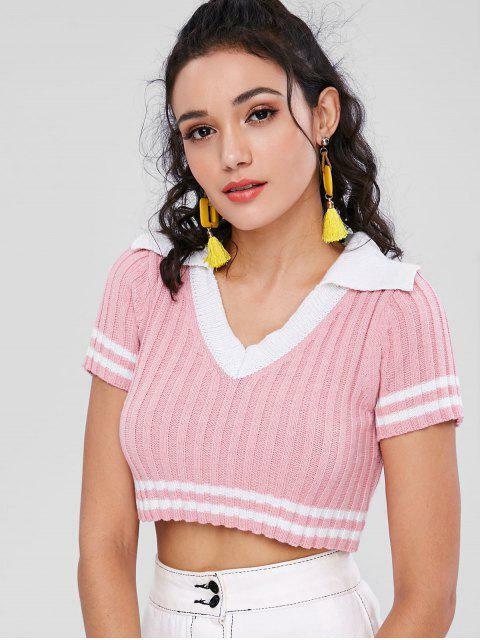 [43% OFF] 2019 Cropped V Neck Knit Top In LIGHT PINK | ZAFUL .. The sweet knitted top goes well with skirts, denim shorts, and jeans for varies styles, and that's the reason we love it so much. 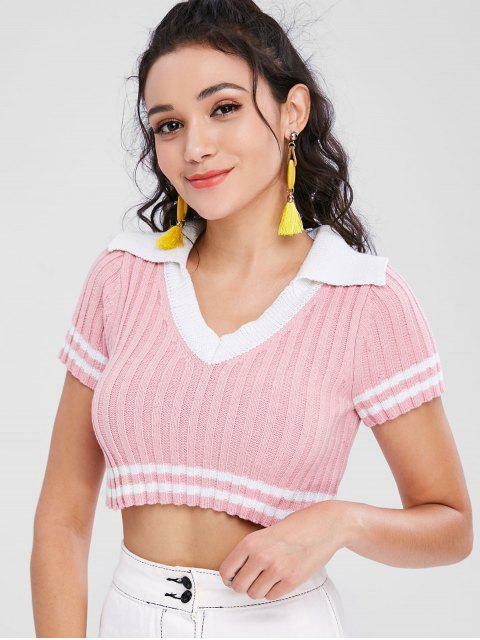 Made of ribbed textured fabric and cut in a cropped length to show off your slim waist, this top has a classy V-collarline and contrast stripes to accent the style. Pair it with high waisted bottoms will look perfect!